Peter Vernon Architects are a small practice offering personalised and full architectural services in Ballarat and Melbourne. The practise profile has concentrated in more recent years on residential, adaptive reuse, industrial, university fitout and healthcare projects. Peter Vernon graduated with an architecture degree from the University of Melbourne in 1985. He also has a Bachelor of Arts from Deakin University majoring in art history subjects and in 2010 he graduated with a Master of Architecture from the University of Melbourne. His research thesis American Know-How and the Myer Emporium is an architectural history of Australia’s largest department store. Part of this thesis has been adapted to a paper entitled Shopping Towns Australia in the June 2012 issue of Fabrications, the peer reviewed journal of the Society of Architectural Historians, Australia and New Zealand. He has been involved in institute affairs, having served on chapter committees and a national conference committee. He is an examiner for the Architectural Practice Exam (APE) Part 3: Oral Examination, Architects Accreditation Council of Australia. In 2012, he was technical advisor for an episode of series one of the ABC-TV series Who’s Been Sleeping in my House? 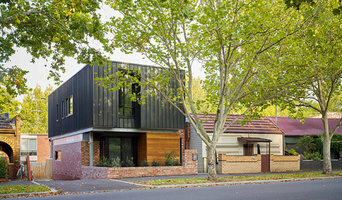 Moloney Architects was co-founded husband and wife team Mick and Jules Moloney in 2007. Ballarat is our base of operations, however we service a wide area of Victoria including Melbourne, Daylesford, Surf Coast, Mornington Peninsula, and the Macedon Ranges. We specialise in luxury residential projects and all projects include full interior design services provided by our dedicated in-house Interior Designer. We specialise in contemporary, high end residential architecture with a strong sense of place. Sustainability is inherent in our design process and not considered as an additional option. We have a passion for design whether it be small scale, every day items or high end, architectural responses to sublime sites. 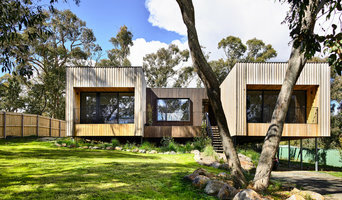 Porter Architects is a multi-disciplinary design based studio located in the regional city of Ballarat. Director Nathan Porter has comprehensive experience at some of Australia’s premier architectural practices has formed a worldly maturity in his craft of architecture. His buildings encompass thoughtful detailing, attention to materiality, rigorous planning, thorough consideration of site, context and sustainable design. The result is a clear, honest, purposeful and warmly crafted building that affects the human sensory. Nathan believes the creation of a building begins with a strong understanding and collaborative relationship with the client. This approach embraces the idea that the architect should be the interpreter for the client’s ideas and goals for a project. 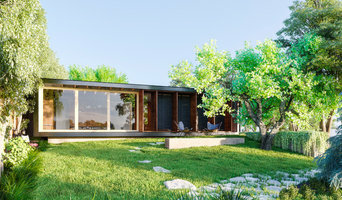 Luke Stanley Architects is a Ballarat based studio that creates refined contemporary architecture. The studio was established by Luke Stanley after a number of years working in award winning practices, both in Australia and overseas. During this time Luke worked on a variety of high end residential, commercial and multi residential projects. Luke Stanley Architects offers a personal service encouraging clients to fully engage with each stage of a project, from concept design, through to the completion of construction. Our success results from effective collaboration with clients, consultants and contractors. Choosing to focus on a limited number of projects allows the studio to deliver refined architecture, that not only fulfills a brief and budget, but exceeds expectations. 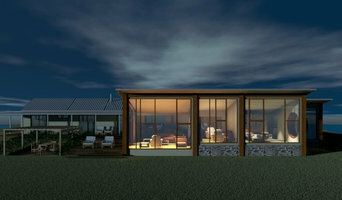 Gary Johnson Architects are based in Buninyong, near Ballarat. The studio is design focused and dedicated to providing adaptable, unique and contemporary architectural solutions. It is important to understand intuitively and sensitively the needs of the client. We take a collaborative approach that considers the practical and functional needs as well as aesthetics which we believe is essential in providing a desirable outcome. Ecological, sustainable principals are seen as integral, to be woven seamlessly into the final built product. Vincent is now a Livable Housing Australia (LHA) Design Guidline Assessor. LHA is championing safer, more comfortable and easier to access homes for everybody, everyday, at all stages of life. Vincent can provide advice to builders and designers on how to achieve LHA performance levels and / or issue performance certificates (silver/gold/platinum) for your design or finished house. Our holistic approach and commitment to our clients ensures your investment project is delivered on time and on budget to the complete satisfaction of clients and controls. We can assist in driving your project through any objectors, understanding the planning controls and policies that apply to your investment goals. At any stage we are able to take your project to the next level. Please contact us to discuss how we can assist you through any step of your project. recently established josh_valentine_architects led by ballarat architect josh valentine, provides architectural services for small to medium size residential & commercial projects in the ballarat & surrounding areas josh_valentine_architects can provide best practice solutions in architectural design, documentation, contract administration and environmental sustainable design. josh_valentine_architects can offer innovative, creative and sustainable architecture with a strong focus on design quality & project delivery. If your renovation is more than a simple benchtop replacement or roof re-tiling job, then it may be time to find an architect in Ballarat, Victoria who can manage your project from start to finish. Depending on the architecture firm you hire, the scope can span from planning sustainable design into your renovations, to selecting furniture and even interior finishes. An architect is often the first person you hire for your project. 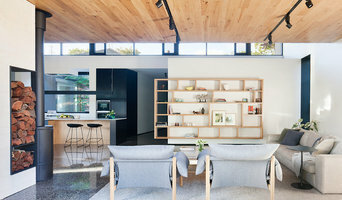 Before taking steps to find an architect in Ballarat, Victoria, ask yourself what you want to achieve from your renovation or home construction. Do you want to improve the liveability and sustainability of your home, or simply expand? What style of architecture do you prefer? Once you have established your motivation, research architects that have completed similar house designs in your Ballarat locale and within a comparable budget to yours. Ideally, your Ballarat, Victoria architect will be involved in all phases of the design process, from the initial concept to the completed construction. Your architect may be needed to select and hire Victoria subcontractors (e.g. builders, engineers and landscape architects) just as they may need to negotiate contracts with stakeholders. A good client-architect relationship will ensure they are your biggest advocate along the way during construction. Find residential architects on Houzz. To find the best Ballarat, Victoria architect for your home design project, narrow your search to find professionals in Ballarat, Victoria. Then browse their latest projects and read reviews. You can also look through photos of projects to find an interior architect or designer who has worked on a project similar to yours.